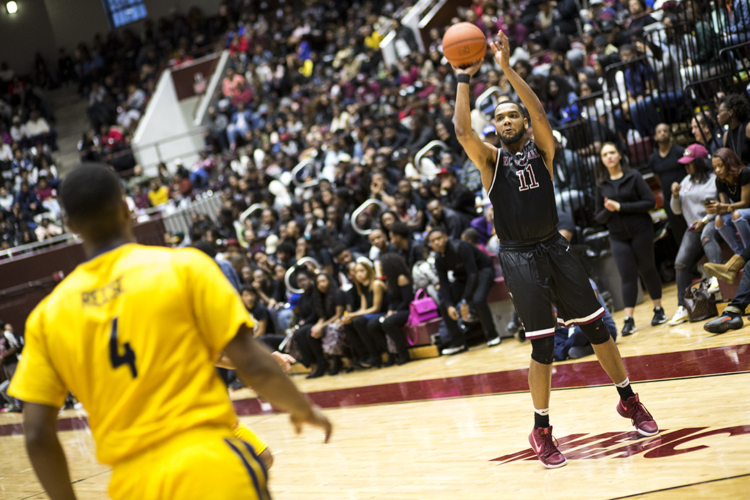 Patrick Cole shoots a three-pointer over Aggie defender. 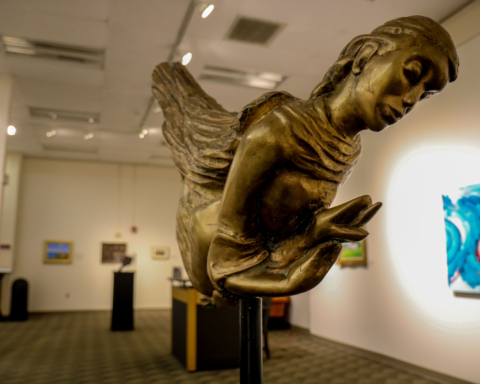 Photo by Anthony Ortiz /Echo Staff Photographer. 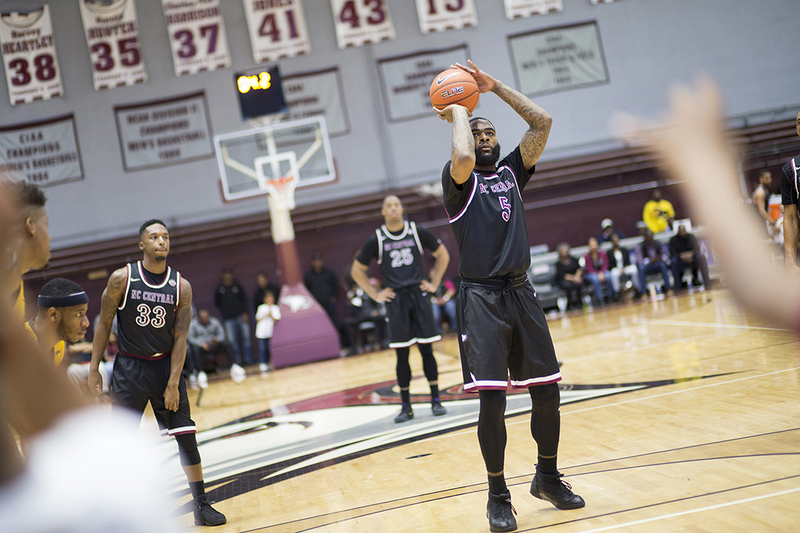 Del'Vin Dickerson shoots a free throw during the eagles' 82-59 win over N.C. A&T on Jan. 28. Photo by Anthony Ortiz /Echo Staff Photographer. 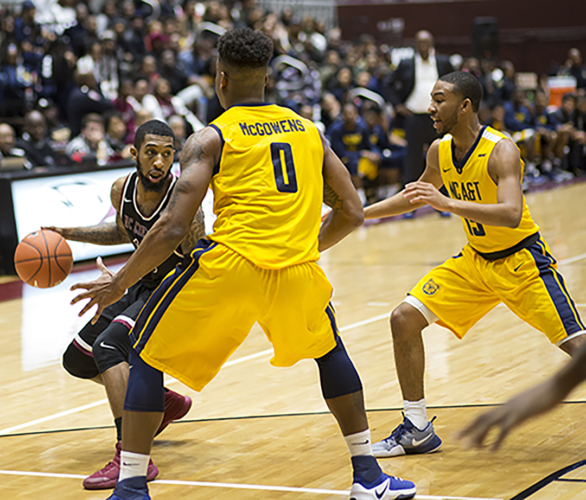 In a rivalry game for the books, the NCCU Eagles Men’s Basketball team shut down the N.C. A & T Aggies Saturday with an 82-59 victory. 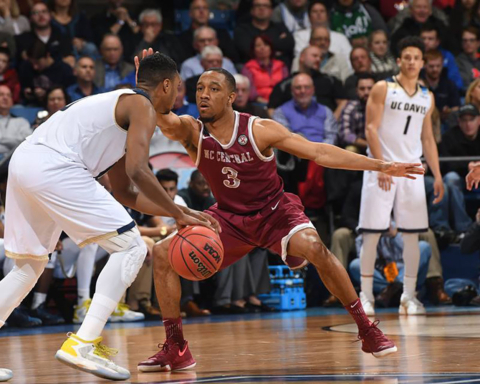 The win was largely the result of a stunning 16 three-point shooting streak. 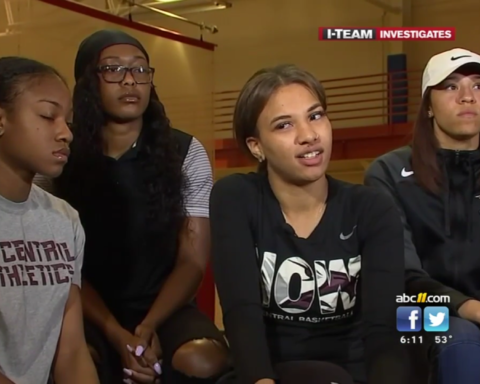 A feat only matched once in NCCU basketball history, according to NCCU Athletics. It was sweet revenge for the Eagles (14-6, 5-1 MEAC) who were bested twice last year by the Aggies (1-19, 0-7 MEAC) in tight games. Patrick Cole was a key player in the Eagles win. 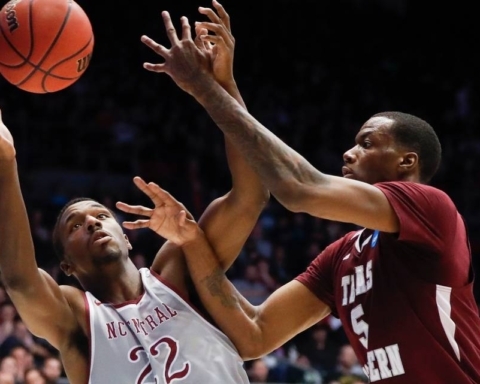 He scored 27 points and eight three-pointers against the Aggies, tying the record as the third player to score the most three-pointers in a single game in NCCU men’s basketball history. In the first half of the game, NCCU started out with a 10-0 run, but the Aggies responded back with 9-0 run. Both teams struggled with some of their shots but at the end of the first half, the Eagles were up by a 10 point lead at 39-29. 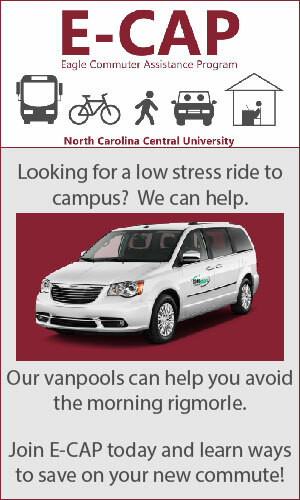 At the second half, NCCU was able to break away with a 22 point lead at the nine-minute mark. Graf ended the game with 11 points and 10 assist. 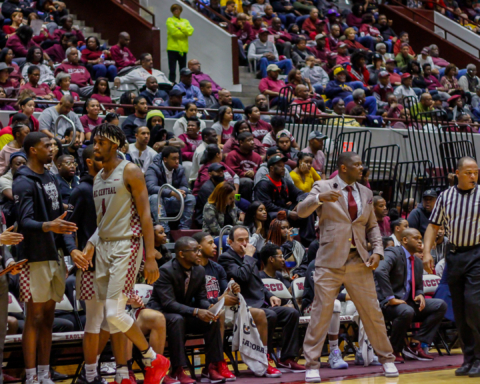 At the post-game media press conference Head Coach LeVelle Moton talked about his thoughts on the game and the players’ performance that night. “I told our guys before the game to play with emotion and to control the pace of the game,” he said. Moton said he was excited that seniors Cole and Graf stepped up and led the team to victory. “I directly told Patrick Cole and Dajuan Graf that this is their team and it up to them to lead the team to victory,” said Moton. He added he thought the Eagles played “too cool in the first half” because the team focused too much on rivalry rather than the fundamentals. “I told them to remember that and it definitely showed in the second half,” Moton said. A strong offense and defense has rewarded the Eagles with a five game winning streak and an 8-1 at home record.